Our purpose is to help you know Jesus, discover your purpose, and build a loving family. 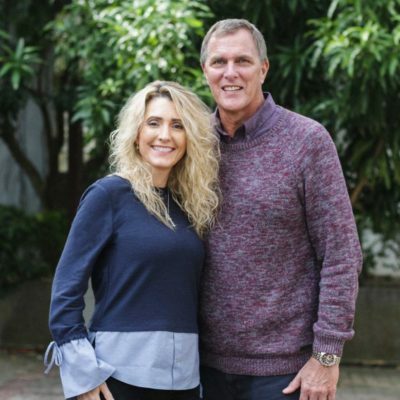 Faith Family Church was pioneered by Steve & Sharmin Fischer in 2007. From the very beginning the desire was to help people find a new life in Jesus… full of purpose, faith, and surrounded by a loving family. 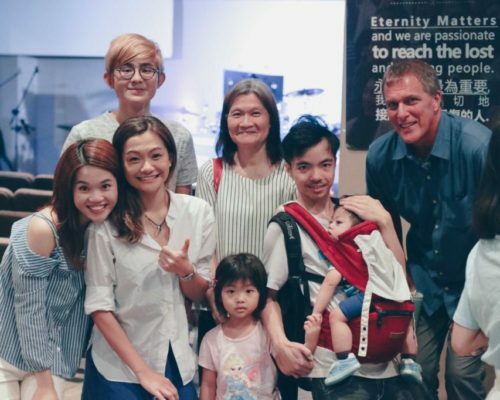 The church started in Steve & Sharmin’s home, before moving to a number of different locations in Kowloon. 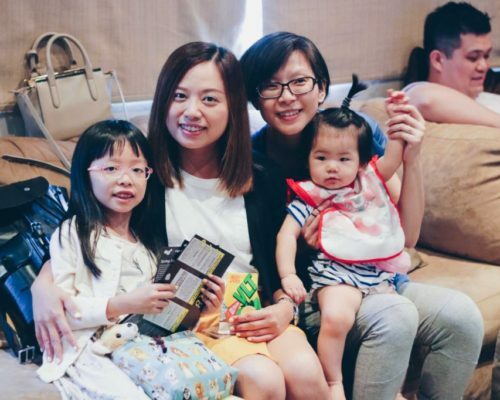 In 2017 God led the church to move to Tseung Kwan O. Faith Family Church has become a “Home with Love” for families and people of all walks of life. The Pastoral staff team is led by the Senior Pastor. This team oversees the day-to-day ministry and operations of the church. These staff pastors serve the congregation and are responsible for the development of the spiritual life of the church. 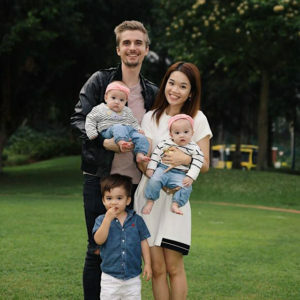 Steven & Sharmin Fischer moved to Hong Kong from the USA in 2003 with their four children (Joab, Naiah, Jasmine & Jael). 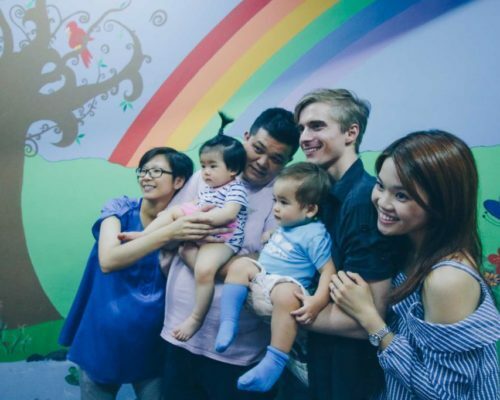 They have pioneered Faith Family Church, along with an international ministry called Fischer Family Ministries that reaches the USA, China and Hong Kong. Steven & Sharmin love the outdoors planting gardens, traveling, and drinking good coffee and tea. Learn about the Core Values that we hold dear at Faith Family Church. These values are the DNA of the church. More than just practicing religion, God wants to have a personal relationship with you. Sunday services are where we help people know God. God’s process for you to experience freedom begins with having the right people in your life. 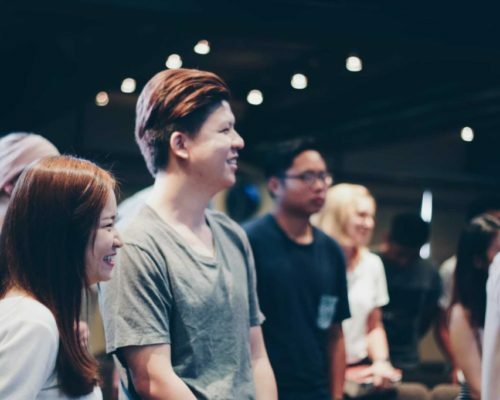 He designed us for community, and connecting in Small Groups is how we find life-changing relationships at Faith Family Church. You are an important part of God’s plan, and your life will never make sense until you discover your purpose. The Growth Track is made up of four classes designed to help you take next steps in your spiritual journey with God. One of the most powerful ways you can make a difference is to go on a missions trip. 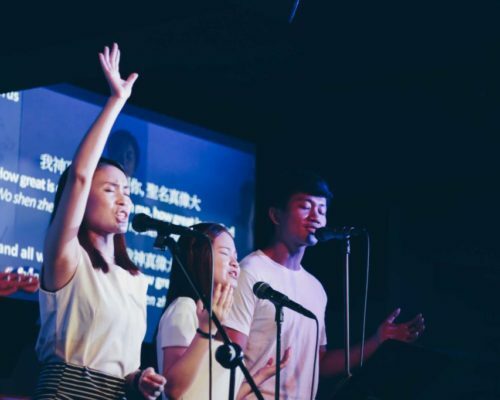 You can join one of the many China Missions Trips that Faith Family Church leads throughout the year. On each trip we share the love of Jesus to orphans, widows, and those who’ve never heard the name of Jesus even once. What we believe about God and the Bible creates a solid foundation for Faith Family Church. Our culture, purpose, vision, strategies, and everything else, is built upon these fundamental beliefs. The Bible is God’s Word. The Bible is the foundation of all truth and wisdom. It is written over a period of thousands of years by men who wrote as they were moved by the Holy Spirit. It is accurate and applicable to our everyday lives and is meant to be lived by and obeyed; then we have all the blessings from God. The only God. The creator of all things. There are no other gods or idols that are god. He alone is God with unlimited power and ultimate authority. He is eternal, He is love, and He exists in three persons – God the Father, Jesus the Son, and the Holy Spirit. He is perfect, holy, all-knowing and all-powerful. He desires fellowship with people. He hears and answers our prayers. He so loves the people of the world that He sent His only son Jesus Christ to the earth so we could receive salvation-a new life and spirit,. We become God’s children when we believe in Jesus. Jesus Christ is God’s only Son. The only Way to know God is through Jesus; He is the only One who can restore us to a relationship with God. He was born of a virgin, was sinless in His life, did many miracles, and taught God’s words. Jesus died on a cross in our place– taking on Himself the full payment for our sin; we receive forgiveness and freedom and new life through believing in Jesus. He came back to life after three days and now lives in Heaven with the Father. The Holy Spirit was sent from the Father in heaven when Jesus returned to heaven. He is God on the earth and was sent to live in the hearts of the people who become God’s children. The Holy Spirit convicts the world of sin so that they might receive Jesus. The Holy Spirit is our Helper, Comforter and Guide with unlimited power for all who are God’s children. The Holy Spirit does healings and miracles on the earth today. We believe in the power and importance of the Church. 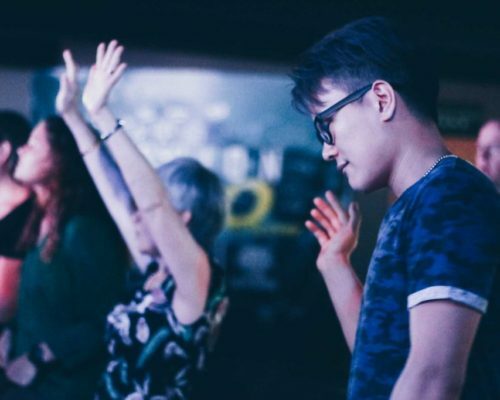 The church is not a just a building, but instead, every person who is a child of God, is an integral part of the church and a member of the “body of Jesus Christ.’ We should meet regularly together to learn about and enjoy all the good things God has for us. We learn how to Love God and Love other people and serve our community and world by regular attendance. As we do, we will find our gifts and purpose for life. We become a Christian by praying to God and asking for forgiveness of our sins and saying by faith, that we believe Jesus is God’s Son, that He died taking the punishment for our sin and that God raised Jesus from death and is alive. Immediately then, we receive Salvation; it is also called being Saved, becoming a Child of God, a Believer, or being Born Again. God forgives all of our sins and gives us a new Spirit that is pure and clean. God sends the Holy Spirit to live in our spirit making us God’s child. We cannot become a Christian by doing good works or just attending a church. It is by God’s grace to us that we are saved, not by anything good that we do. Being filled with the Holy Spirit or the baptism in the Holy Spirit, as promised by Jesus, is a gift to all believers and can be received after Salvation. The baptism in the Holy Spirit enables Christians to have power to be a witness for God and to fully utilize spiritual gifts for the Church and for personal spiritual growth. When you are filled with the Holy Spirit, God gives us the ability to speak in a heavenly language to communicate from your spirit directly to God. A Christian can grow and mature by reading the Bible, obeying God and His Word, and developing a close relationship with God through prayer. A Christian can enjoy the benefits on earth of all that God promises us in the Bible, health and healing, a long, full, happy fulfilled life, and provision of everything we need. As we believe and obey what the Bible says, we change our way of life or grow up to become more like Jesus. If we do wrong or sin, we can go to God and ask for forgiveness and He immediately forgives and restores us. Spiritual growth is an ongoing process and is seen in the life of healthy Christians. Signs of a growing Christian are love, giving, and telling others the Good News about Jesus. After becoming a child of God, the Bible tells us to be baptized in water in the Name of the Father and of the Son and of the Holy Spirit. Baptism is for Christians only and is symbolic of the Christian’s new life in God. It is not necessary to wait to become a mature Christian before you are baptized nor is it necessary to have many members of your family and friends come to watch you be baptized. It is symbol between you and God. A unique time in the presence of God when we remember what Jesus did for us on the cross. We pray and eat a piece of bread and drink juice as symbols of the Body and Blood of the Lord Jesus Christ. Marriage is defined in the Bible as a covenant, a spiritual bond between one man and one woman, instituted by and publicly entered into before God. Whether a person will live eternally after physical death in either Heaven or Hell is determined by their response to the Lord Jesus Christ. Those who are Saved will go to heaven and forever live with God. There will be a resurrection of our body and a rapture of our body on earth when Jesus comes back to earth, we will receive a new body that will live forever. God has many Angels that work with Him to do good in heaven and on earth. Our enemy and God’s enemy on the earth is the Devil or Satan (demons spirits or fallen angels work with the Devil to do bad things.) He is evil and causes the bad things on the earth to happen. Only God and Christians have authority over the Devil through Jesus. We as Christians have no reason to fear the Devil anymore. The Bible describes Hell as everlasting fire, torment, and pain. It is a literal place of eternal separation from God. After living one life on earth, the people who are unbelievers and are not Saved will be judged by God and sent to Hell where they will be eternally tormented with the Devil and the Fallen Angels. 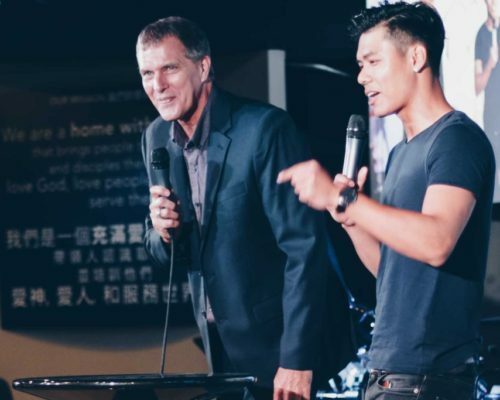 Faith Family Church is a part of the Association of Related Churches (ARC), a global network dedicated to planting and developing life-giving churches. To learn more about ARC and its church-planting mission, visit arcchurches.com. 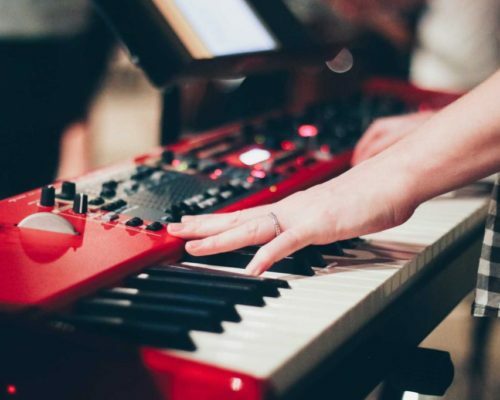 Each weekend at Faith Family Church you’ll find a relaxed and friendly atmosphere with exciting, contemporary worship music and a practical, relevant message. Children are well-cared for in a loving, quality nursery and fun-filled Faith Family Kids service. 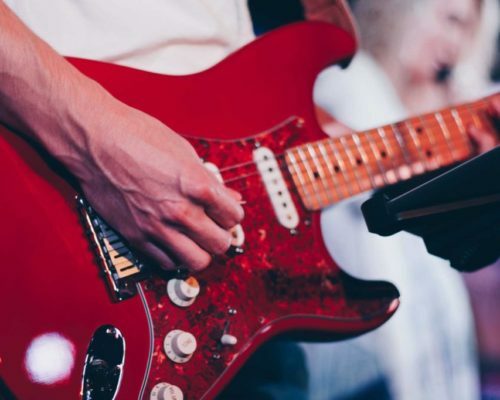 You’ll find everything from casual clothes to business suits at our Weekend Services. Come in what is comfortable for you, because Faith Family Church is not about what you look like or what you wear. Faith Family Church is located in Tseung Kwan O, Hong Kong. For more information, click here. At Faith Family Church your children are a top priority. Our nurseries are clean, safe, and staffed with loving workers. We offer a dynamic children’s ministry called Faith Family Kids as well as life-changing ministry for youth. There are many ways to get involved. You can begin by attending our Growth Track. 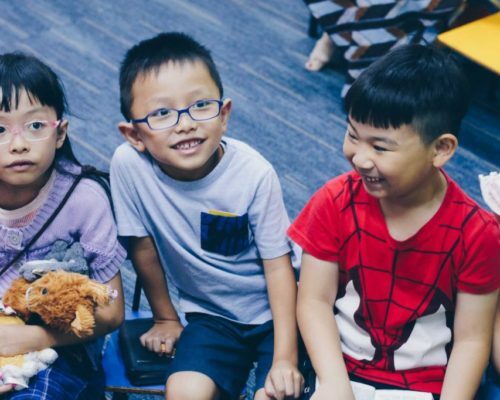 Another great way to connect is through Small Groups. In each of these, you can build friendships, learn more about the life of our church, and have the opportunity to grow in your faith. Our desire is to see you know Jesus, find your purpose, and build a loving family. Our Growth Track offers the tools necessary to make this happen in your life. You can begin the process at any step in our Growth Track. 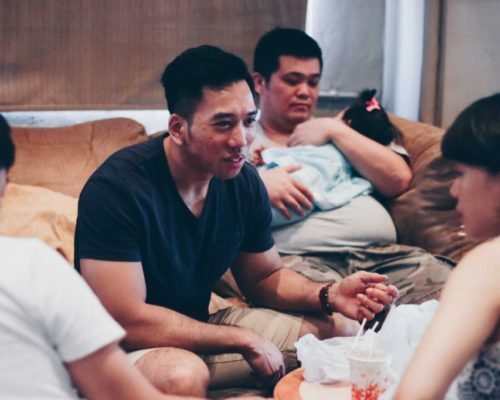 One of the easiest things to do at Faith Family Church is to participate in a Small Group. 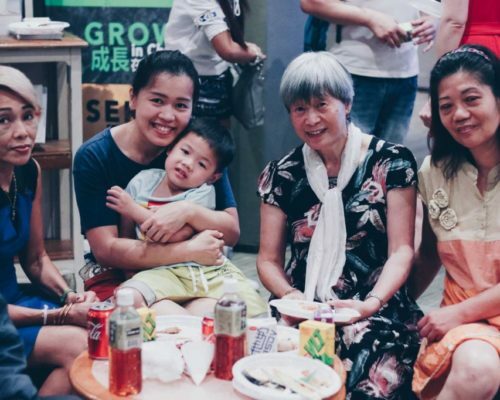 Groups meet throughout Hong Kong and provide a place for Bible study, fellowship, and support. Wherever you live, there’s a small group near you.